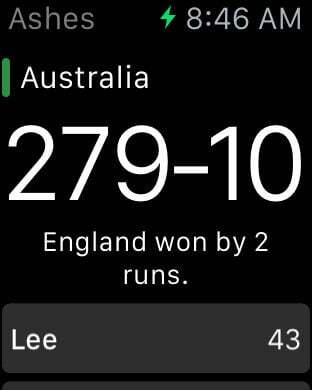 Ashes Alerts provide push notifications for every wicket and hundred scored throughout the entire 2015 Ashes Series in England & Wales. The in app scoreboard provides displays the current score, while the app will also notify you of every wicket and hundred scored while the application is in your pocket. Subscribe to receive alerts for every wicket, hundred and fifty. Subscribing also enables shake to refresh. Background refresh and removes Ads. Alerts are free for the 1st test.